Causey Farm - a fun based venue for a variety of entertainment, tourism and educational programs. 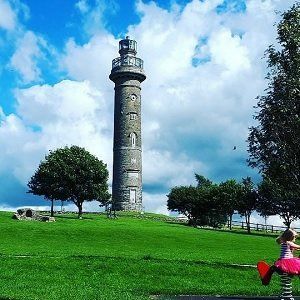 We provide interactive cultural experiences in a friendly atmosphere for Irish and international groups, as well as fantastic seasonal events for families and individuals. 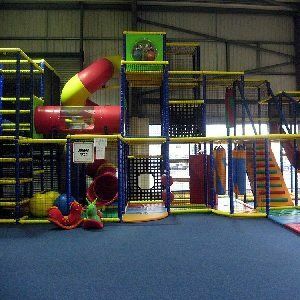 Best O'Matz are an award winning Play and Party Centre with a bright, spacious, clean and friendly environment, Best O'Matz offers the children a chance to play in an exciting, stimulating and safe environment, with a climbing wall, two slides, air cannons, football pitch and much much more! At Drewstown we offer a tailor made programme to suit your groups needs. 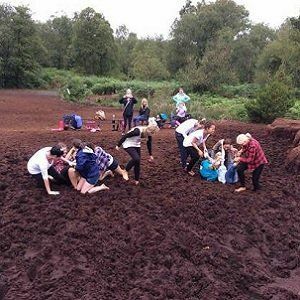 Our adventure activities cater for group sizes of 8-50 people, half day or full day sessions. 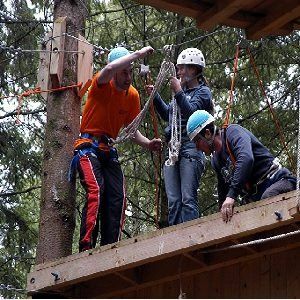 Rathe House, outdoor pursuit and adventure centre is set in 500 acres of beautiful and scenic countryside and offers action, adventure and corporate team building activities based on single day and residential weekend courses. 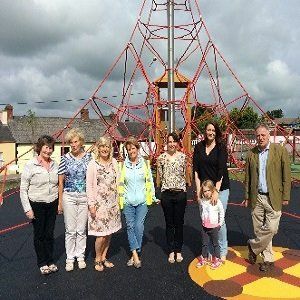 The Fairgreen children's play area is situated across from the Supervalu shopping centre on the Cavan Road - with climbing equipment, seesaw, merry-go-round, zipline etc on rubber matting tarmacadam. Kells Swimming Pool - owned and operated by Meath County Council, a 25 metre pool and a small pool suitable for toddlers. Open daily to the public. Loughcrew Gardens & Adventure Centre - Ancient gardens and landscape fantasy. See St. Oliver Plunkett's family church and Tower House. 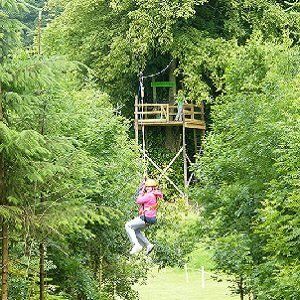 Adventure centre include a zip wire & climbing wall, raft building, obstacle course and more. The area round the Spire of Lloyd has been developed as a community park, The People's Park. There are good facilities for children to play, a ring fort walk and picnics tables. Take the Oldcastle Road (R163) out of Kells and is signposted on the right. 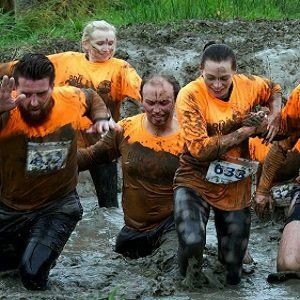 The Muck Of Kells is an obstacle course race like no other! 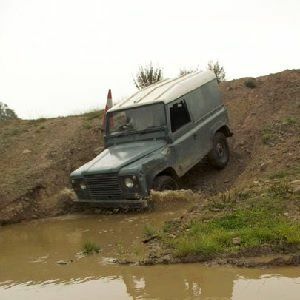 A permanent, purpose built course over a 5 km course- charge through dense woodlands, icy streams, and bottomless ponds, even scale the remnants of the infamous Pale!